Japanese operator DoCoMo has confirmed that it has completed a $22.5 million investment for a 20 percent share in Baidu Yi Xin, its joint mobile content venture with Chinese search firm Baidu. The service is aimed at providing a platform for value-added services and digital content for mobile devices across the country. The companies’ have said that the platform will build on DoCoMo’s extensive experience in the mobile content and services space, with Baidu providing its strong reach and brand, search know-how and growing mobile footprint. Baidu Yi Xin is the two heavy-hitters’ strategy to increase their presence (and share of revenue) from China’s smartphone market, which is world’s largest based on shipment volumes and device activation numbers. For DoCoMo, the benefit of branching out from the relatively-saturated Japanese market. Partner Baidu has long made its intention to focus on mobile Web services clear, as it looks to expand upon the success of its search business – which holds more than 80 percent market share. The deal was initially announced in January 2011 and, from August this year, the platform will open itself to content from Japan. Tokyo-based social mobile gaming service DeNA will be among the first batch of services to lend its weight to the service, which will further extend its own reach in China’s smartphone market, which is tipped to pass 200 million users by the end of 2012. DeNA — which posted annual income of $794 million — recently inked an agreement to add its games to Renren, commonly known a ‘China’s Facebook’, while it also has agreements in place with 300 million user-strong Sina Weibo, Alibaba, Baidu and Kaixin. China’s smartphone market showed more signs of phenomenal growth potential this month when authorities revealed that, for the first, the volume of smartphone shipments had overtaken that of feature phones – going on data for the last three months. The completion of the Baidu Yi Xin investment comes some two months after Baidu revealed its revised mobile strategy which centers around a new cloud-centric operating system, forked from Google’s Android platform. 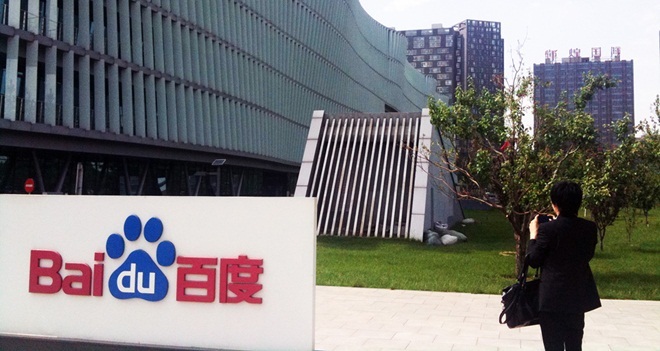 ‘Baidu Cloud’ is fully localised and synced with the company’s Web services. Baidu says it is in discussions with possible handset partners, with one device already confirmed as upcoming.